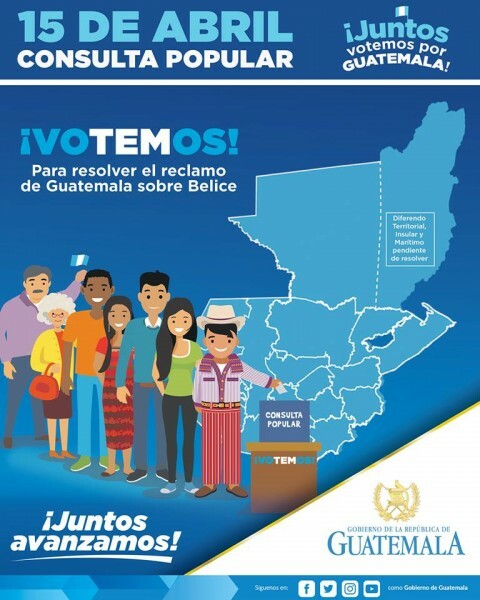 More than seven million Guatemalan citizens are expected to come out to the polls on Sunday, April 15th to cast their vote on whether the centennial territorial dispute between Belize and Guatemala should be resolved at the International Court of Justice (ICJ). 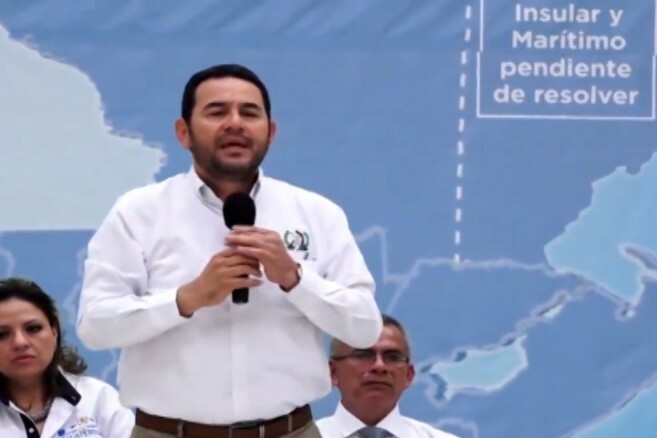 An educational campaign in Guatemala significantly intensified to the point that Guatemalan President, Jimmy Morales toured his country in an effort to encourage Guatemalans to come out and vote. The Guatemalan government seeks to recover over 12,000 kilometers from Belize, which accounts for more than half of the country, via an ICJ ruling. In other parts of the country, the Guatemalan President went on to explain a bit about the history of the territorial claim, explaining that in the 1,700’s Spain allowed the British settlers to cut logwood in the northern part of what is now the Corozal District. Accordingly, this was just a permission and did not give the British any rights to the territory. He argues that by the time Guatemala gained its independence from Spain in 1821, England had illegally extended its presence to the Sarstoon River in southern Belize. Morales said that Guatemala and England began to negotiate for the territory and touched on the 1859 Boundary Treaty. It is alleged that Morales has been telling the Guatemalan citizens that such treaty was not to establish the borders between Belize and Guatemala. The treaty which was signed on the 30th of April, 1859 was between Her Britannic Majesty and the Republic of Guatemala. According to the treaty, the boundary between Her Britannic Majesty’s settlement and possessions in the Bay of Honduras, and the territories of the Republic of Guatemala, had yet been ascertained and marked out. The agreement in the treaty stated in Article One that, “ It is agreed between Her Britannic Majesty and the Republic of Guatemala that the Boundary between the Republic and the British Settlement and possessions in the Bay of Honduras, as they existed previous to and on the 1st day of January, 1850 and have continued to exist up to the time, was and is as follows: Beginning at the mouth of the River Sarstoon in the Bay of Honduras, and proceeding up the mid-channel thereof to Gracias a Dios Falls; then turning to the right and continuing by a line drawn direct from Gracias a Dios Falls due North until it strikes the Mexican Border: It is agreed and declared between the High Contracting Parties that all the territory to the North and East of the line of Boundary above described belongs to Her Britannic Majesty, and that all the territory to the South and West of the same belongs to the Republic of Guatemala.” The treaty continues by stating that both parties had twelve months after the exchange of the ratifications of the present Convention to appoint a commissioner for the purpose of designating and marking out the boundary described in Article One. Such commissioners were to ascertain the latitude and longitude of Gracias a Dios Falls and of Garbutt’s Falls to form a line of boundary between Garbutt’s Falls and the Mexican territory to be opened and marked where necessary as a protection against future trespass. Of an important note is that Article Six in the treaty “agreed that the channels in the waterline of the boundary described in Article One of the present convention shall be equally free and open to the vessels and boats of both parties; and that any islands which may be found therein shall belong to that party on whose side of the main navigable channel they are situated”. This key point was the result of a road to allow Guatemala access to the Caribbean Sea. The agreement was that England would provide all the technical input for the road, while Guatemala would supply all the material necessary and the cost of labor would be shared between both countries. However, Guatemala claimed that the British were to cover all the expenses of the road. After much back and forth, in 1863, the British agreed to ask Parliament to provide 50,000 pounds to cover Britain’s remaining contribution to the ‘joint venture.’ Britain argues that they did all they possibly could to make the ‘joint venture’ of the roadwork by surveying, designing and estimating cost along with the time to complete it, but Guatemala did nothing to help the ‘joint venture’ move forward. In his speech, Morales argues that “England then said that they could not build the road so they offered us 50,000 pounds, however, they did not comply with such monetary payment.” Morales continued that because England did not build the road nor pay the 50,000 pounds the 1859 treaty is nulled and the territory in question should be returned to Guatemala. Since the 1940s, Guatemala’s constitution retains that Belize is Guatemalan territory. After the signing of a special agreement in 2008, both countries agreed that the ICJ is the only solution to the long-disputed territorial claim. The agreement requires a referendum to be held in both countries. 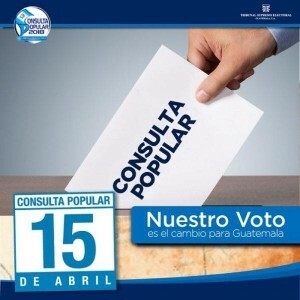 According to the Guatemalan Government, 300 million Quetzales or a little over $US40 million has been invested into their referendum hoping that voters will be educated enough to come out and cast their vote. Even though Guatemala will soon make their opinion heard on whether or not to take the territorial dispute to the ICJ, to date, the Government of Belize is yet to set a date for their referendum to take place. Belize’s Minister of Foreign Affairs, Honourable Wilfred Elrington is seeking to raise eight million dollars of the expected $20 million needed to cover the educational campaign. It is speculated that the referendum in Belize will take place either at the end of 2018 or early in 2019 following the re-registration and redistricting of electorates.